We are now past the Game 3 stage in all of the NBA Conference Semi-Finals. There were two exciting games on Saturday night but there is no time to waste because we have two Game 4 games taking place on Sunday. The Wizards narrowly snuck past the Hawks in Washington, the final score ending up 103-101. A Paul Pierce shot on the buzzer split the two teams, giving the Wizards a 2-1 lead in the series. In the other game, the Memphis Grizzlies took a 2-1 lead in the series, defeating the Warriors yet again, this time by a 99-89 margin. If people weren’t taking the Grizzlies seriously in this series, they will have to now. That last second piece of magic from Derrick Rose provided the Bulls with a 2-1 lead going into Game 4 and another home win would place the Cavaliers and LeBron James under intense pressure. This game could go either way so it is far from being a guaranteed victory for the Bulls in this one, but the home side will know that they have everything to play for in this one. Of course, the Cavs grabbed a big win after going 1-0 down in the series, so they will be looking to do the same now that they are trailing 2-1 in the series. With both players suffering a number of injuries, it may well come down to a couple of big players in this game. For the Cavs, LeBron James will need to deliver the sort of performance he showed in Game 2 of this series. For the Bulls, all eyes will fall on Derrick Rose and Jimmy Butler as the Chicago team aims to open up a two game lead in this series. LeBron was on fire on Wednesday night and the 22 points he bagged in the first half put the Cavs well clear, eventually winning 106-91. The response in Game 3 was swift, and it came from Rose and Butler. They grabbed 50 points in total, and they served up 23 of the 25 points that the Bulls offered up in the final quarter. It was Rose that clinched the game, by a 99-96 margin, and a 2-1 lead in the last second with a 3 point shot in the bunker. Rose may have missed 22 playoff games due to injury before this season but he is currently averaging over 20 points a game in this post-season and he is clearly enjoying making up for lost time. The Cavaliers currently hold a 58-31 record for the season and this includes a 24-20 record on the road and a 7-3 record for the last 10 games. The Bulls are currently on a 56-35 record for the season which includes a 30-15 record at home and the Bulls are also 7-3 for their last 10 games. With respect to average points scored, the Cavaliers hold a 103.0 to 100.6 record and for average points against, the Bulls lead 97.2 to 98.4. 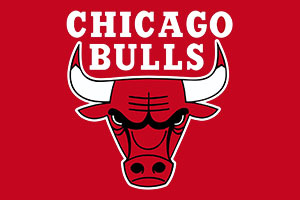 Taking the Bulls with a +1.5 handicap, at odds of 1.90, should be a smart move for Sunday with your NBA betting. Bet Now! The Clippers lead 2-1 in the series and with another home game to come on the Sunday, they have every chance of extending their lead and putting the Rockets under immense pressure going into Game 5. However, there is no such thing as a guaranteed win at this state of the NBA season and the Rockets have what it takes to defeat the Clippers, even in Los Angeles. Anyone that believes that the presence of Austin Rivers in the Clippers side is solely down to the fact that his dad is the coach would have had their misconceptions blown away in Game 3 of this series. Chris Paul was absent from the opening two games of the series and although he returned for the win, he was able to ease himself in gently thanks to the showing of Rivers. The youngster grabbed 25 points, including 13 points in an 18-0 scoring run, and it was a big turnaround for the player after a poor game in the second game of the series. The Rockets are 61-29 for the season which includes a 26-17 record on the road and a 7-3 record in their 10 most recent games. The Clippers are slightly ahead on overall records, with a 62-30 record and a 33-13 record at home. The Clippers are currently on a 6-4 run of form in their 10 most recent games. With respect to average points for, the Clippers lead 106.8 to 104.5 and for average points against, the Clippers lead 100.5 to 101.6. Taking the Los Angeles Clippers at -7.5, with odds of 1.90, is likely to be a decent bet for anyone looking to make the most of their NBA betting opportunities on Sunday. Bet Now!